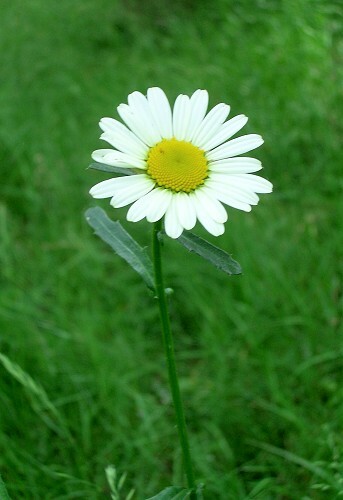 The oxeye daisy, sometimes called Marguerite, is similar to the common daisy but with a larger flower head and a much longer stalk. The flowerhead, made up of white ray-like petals around a yellow central disk, can be 2.5 to 6 cm diameter. 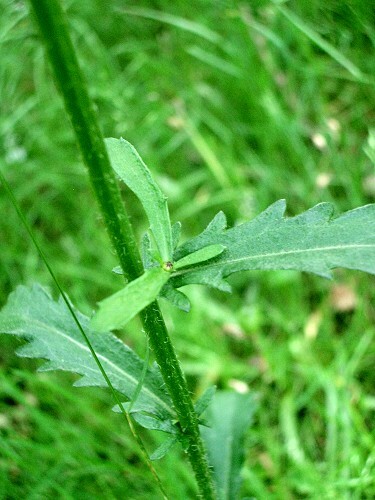 The leaves are long, narrow and toothed. The oxeye daisy is common in all types of grassland and is used in herbal medicine to treat throat and chest complaints.